Who knew that being an Uber driver required the skills of a swashbuckling hero? But that is exactly what it is. I am approaching the end of my first $100 dollar week. And I have already been on a harrowing ride through the world of ride-sharing for money. The key to successfully picking up and ferrying passengers to the site of their choosing is a matter of being personable and at ease with driving and talking. Of course, I have talking skills. My whole 31 year career was a matter of learning to effectively talk to kids all day long. And you may not believe this, but adults, people who actually have money and the freedom to choose their own path, are easier to talk to than kids. I have learned about people’s families, people’s jobs, opinions of their bosses, opinions of the government and taxes, and even some tell me about their love lives, both directly, and second hand. If there are two in the car, then they forget that the driver has ears and can hear (within the limitations of really old ears). But why did I say “Swashbuckling hero” if I am only going to talk about talking to passengers? And why all the Batman gifs? Well, I am talking about driving in the Dallas Fort Worth Metroplex, ain’t I? Do you know what Texas drivers are like? On Saturday I picked up a coach headed for a retirement party at a Luby’s on the border of DeSoto (a southwest Dallas suburb. That was a twenty-two dollar trip from east-central Dallas catty-cornered all the way across the city in a diagonal direction on the tollway and then I-35 South. I had three cars cut me off for driving too slow (by which I mean the speed limit. Hey, Uber monitors that through their app.) The Uber Navigator told me to keep right at a time when keeping right nearly threw me off 35 onto an intersecting highway, so I had to make a quick two-wheeled Starsky and Hutch turn through the corner of the median to stay on course. (Fortunately, Uber can’t monitor that.) Dallas drivers are a combination of speedy predators in WASP rockets, Texas killer grandmas in Cadillacs, and Elmer Fudds going too slow in classic cars from the 50’s. They provide you with a booby-trapped obstacle course to drive through, and go so fast that the speed limit becomes dangerously too slow. So I definitely appreciate Batman for providing me with all the animated illustrations to use for portraying the high-risk life of an Uber driver. It makes driving this way easier to pretend that I am one half of the dynamic duo driving the Batmobile in Dallas downtown traffic. Yes, it’s true, I am saying I pretend to be Batman. Of course, it wasn’t exactly like my sister’s Barbie. Yes, the idea was to buy costume after costume, the drive for fashion being the primary source of income for Hasbro and Mattel. I did a bit of that. But in 1966 I wanted the German G.I. Joe from the Montgomery Ward Christmas Catalog for my birthday. Mom and Dad bought me my first Captain Action instead. After many tears and bitter disappointment, I actually started to play with it. Christmas brought the Aquaman suit for Captain Action, along with the German G.I. Joe. After that, Spiderman… Captain America… more Joes, and a 1969 G.I. Joe Mercury capsule complete with astronaut. Man! What you could get back then for less than twenty dollars! So this is the foundation of my obsession. Of course, as a child I did not have my own money to spend. I always wanted more than birthdays and Christmases could account for. Once I became an adult and had my own money… look out! I could’ve impoverished myself had I not established the rules for my personal collection. 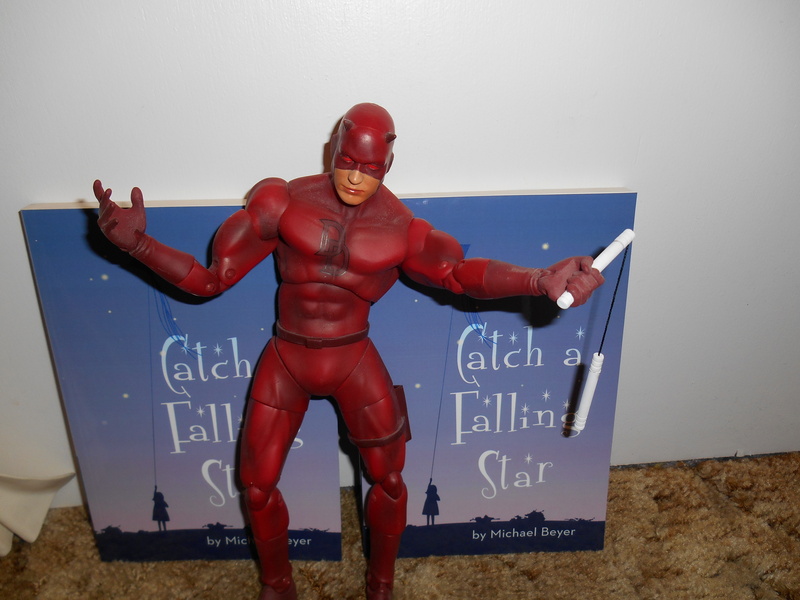 Twelve inch action figures are rule number one. Rule number two is twenty dollars or less. I try hard not to break those rules. The collection has grown all out of proportion. I got married, and that had an effect on my addiction too. I began to buy Barbie action figures too. (Heck, she’s a twelve inch figure too.) I had kids too, but never even thought of using that as an excuse. 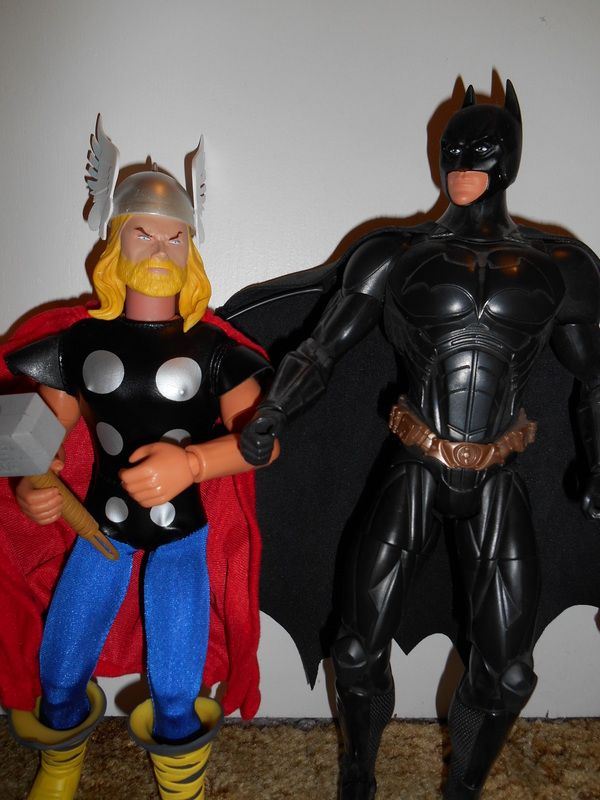 I bought Barbies for my beautiful wife, but if I bought action figures for my kids, then they wouldn’t be mine, and how do you explain to a six year old that you can’t actually play with that cool Batman figure? I am showing off a few of my figures here and now. Maybe more will come later. But for now, it’s enough to get this terrible secret off my conscience. 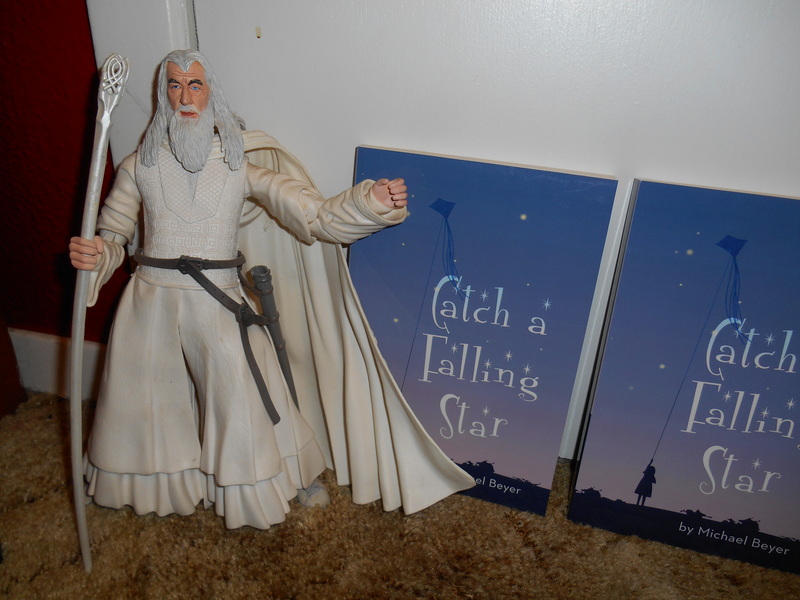 Gandalf is a 12 inch action figure bought from a sale table at Kaybee Toys. He was $8.99 because someone had pilfered the sword from his scabbard. 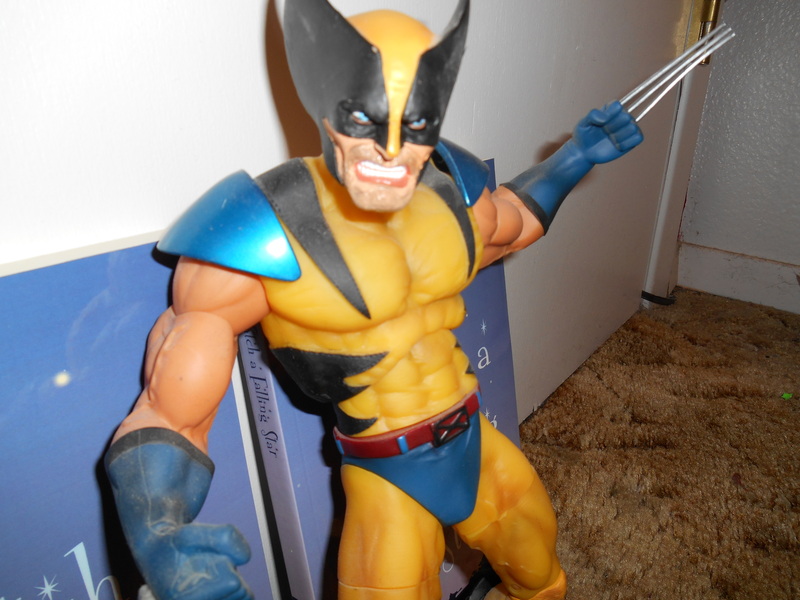 Wolverine is a pose-able PVC action figure, and 12 inches tall. He cost $9.99 at Toys-R-Us. 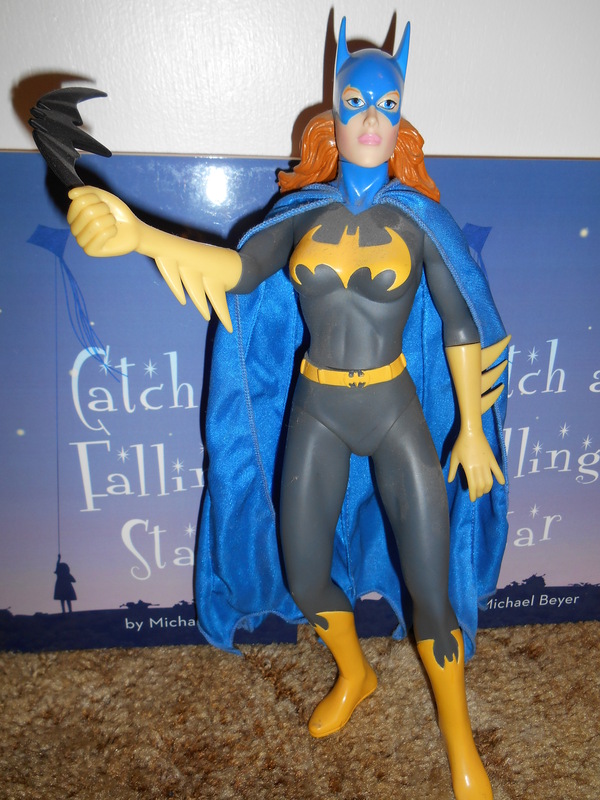 Batgirl came from the Warner Brothers Store for $9.99.